Here is everything you need to know about the National Open University of Nigeria, NOUN Change of course form, procedure and how to pay for NOUN change of course. This article also covers other information and provide a guide for students of the National Open University of Nigeria (NOUN) who wish to change from one department (course of study) to another. This guide will give you a faster and easier way to accomplish this. Before proceeding, there are some articles which I think you will find useful. If you are a student of National Open University of Nigeria (NOUN) who wants to do a change of course or programme, please follow the guidelines below. Before proceeding to change your NOUN programme or course, I’ll advise you to go through the list of accredited Courses offered in NOUN university. You need to download the Change of Program form By Clicking Here. You are required to generate 5000 Naira remita from remita.net. Pay the generated fee in the nearest bank. Certificate for re-admission to the study center. You can now download the NOUN courseware online for free, directly from the Noun Portal. 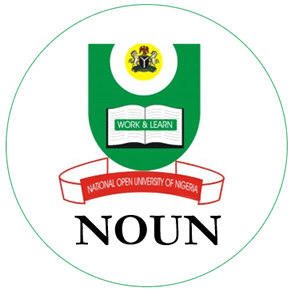 For those not aware, the NOUN courseware is a collection of study materials which is available for all different programs offered by the National Open University of Nigeria. You can now download the NOUN courseware (course materials) for all courses by Clicking Here. The Noun student portal is available for all students of this academic institution to log in and performs various tasks, giving them full access to their dashboard. See how to log in and complete requirements for Noun student Portal.